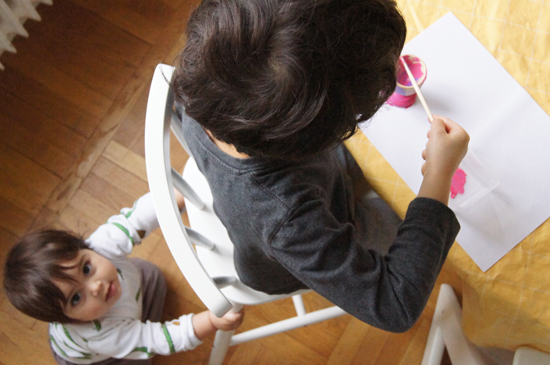 Yesterday was such a rainy day, so the boys and I decided to do some painting in the morning. 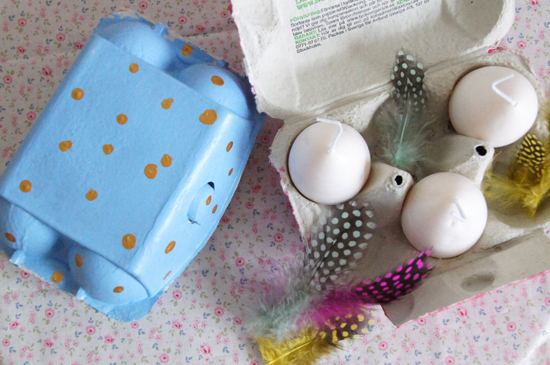 Alec and Louis are reluctant crafters, but today they painted wooden egg cups and I think they enjoyed it. And it looks like Léonie wanted to get involved too! I just removed the labels and painted the cartons with craft paint. A second layer was needed where there was print on the top and sides, but for the rest of the carton, one layer of paint was enough. I decided to leave the inside of my cartons un-painted, but you could certainly paint the whole carton if you wanted to (like DesignMom does). 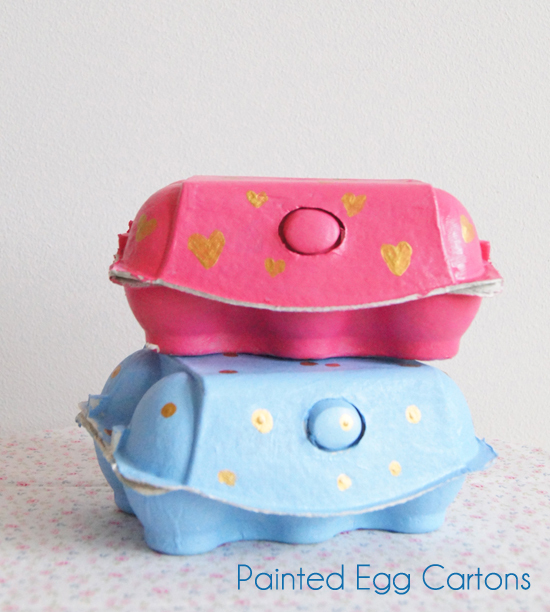 You can also use spray paint to paint your cartons, like Kreativa Karin does. 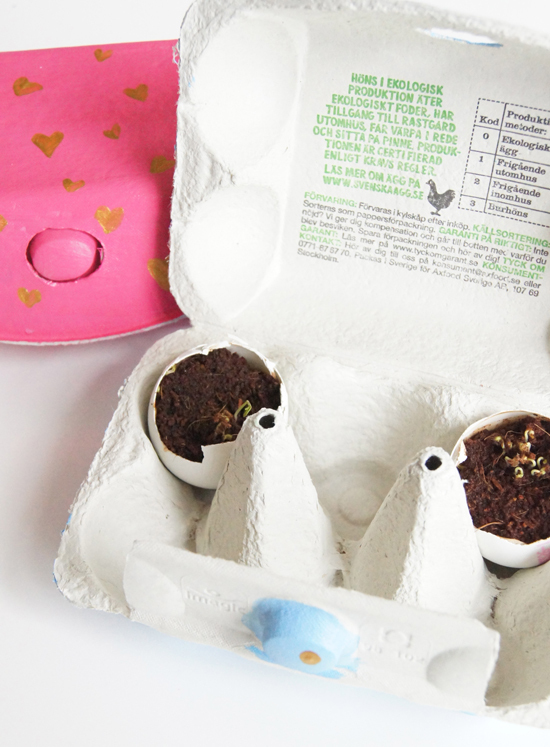 This is such a simple but also charming way to give an Easter gift. 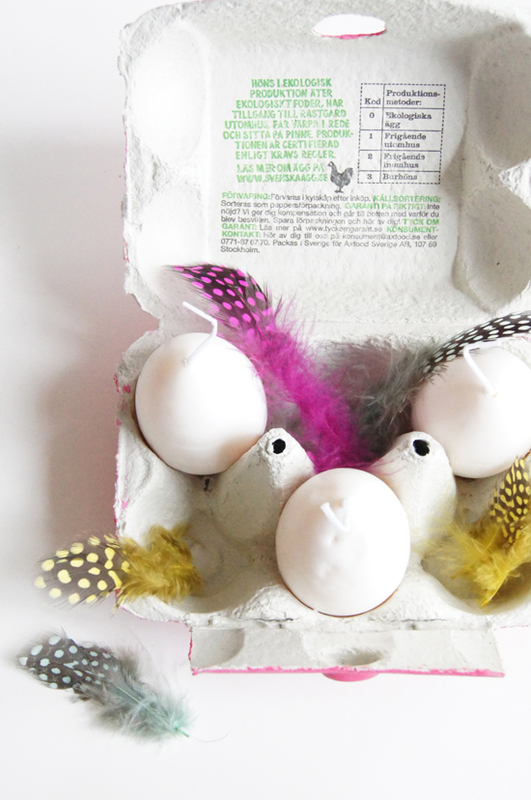 We’ve filled ours with these fabulous egg candles, fun feathers and little egg shell planters (LOVE planting in egg shells!) for now. 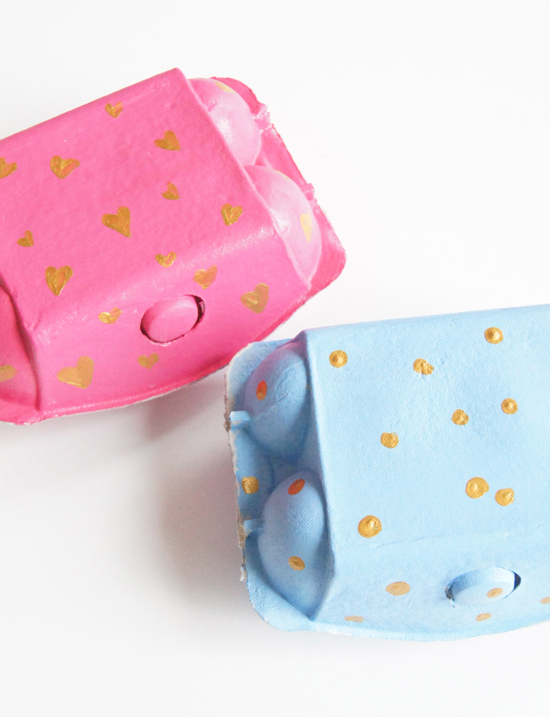 Make sure to check in tomorrow and Thursday to see what goodies I’ll be filling these cartons with as Easter gifts! 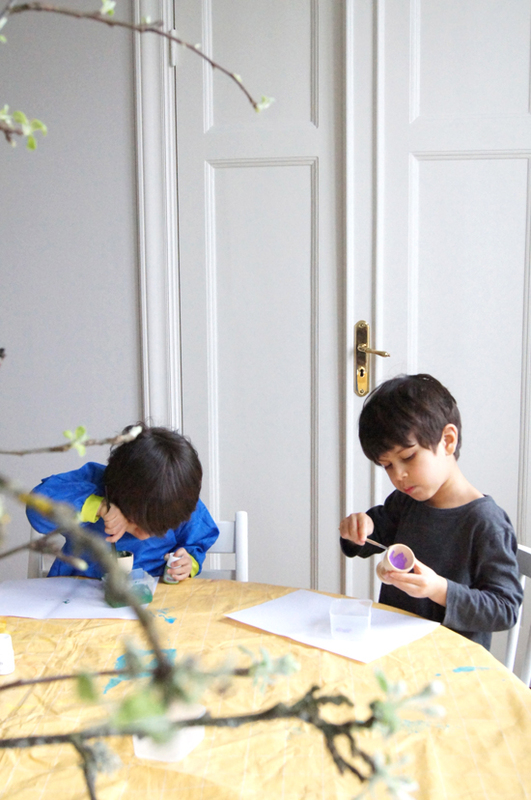 Also, how we celebrate Easter in Sweden, and charming Easter cards for the children to make!